Rob Price/Business InsiderThe Portal and Portal Plus. 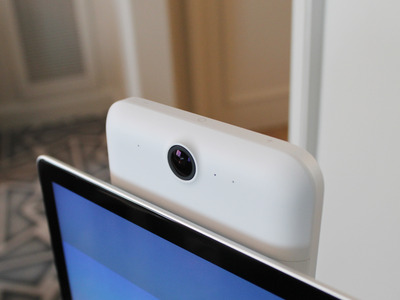 Facebook said Portal would launch sometime in November for $US199, with a larger Portal Plus model costing $US349. The company, which has faced multiple privacy-related scandals this year, is emphasising the Portal’s privacy features. Facebook thinks video calls are broken – and it’s betting that people are willing to pay for a better experience. It’s a significant announcement for the company, one that puts it directly into competition with the likes of Google and Amazon and represents its first foray into building consumer hardware under the Facebook brand. The Portal, which comes in two sizes, integrates with Facebook’s Messenger chat app and is designed to be used for video calls with a user’s friends. The Portal will cost $US199 and the larger Portal Plus $US349, and it will be available only in the US. You can preorder it starting Monday. The device also doubles as a voice-controlled home assistant and smart speaker in the vein of the Amazon Echo or Google Home. Facebook’s Portal comes with Amazon’s Alexa voice assistant built in, allowing it to respond to voice commands to carry out various tasks. It’s an interesting time for Facebook to offer a product like this. The company has been rocked in recent months by a string of scandals – including a hack of about 50 million users’ accounts, announced late last month, and the Cambridge Analytica breach this spring – and its approach to user privacy is under intense scrutiny. At a demonstration in San Francisco with Business Insider before the Portal’s launch, company representatives were quick to emphasise several privacy features of the device, from a camera cover to an outright ban on recording. Rob Price/Business InsiderThe Portal Plus has a larger screen. Facebook said it was launching the Portal to try to solve one of the big problems with video calls: They’re just not very good. “We designed them from the ground up to really address all the friction that exists today in video calls and get people from the feeling of being in a call to really feeling that they are together, that you’re in the same space, that you’re hanging out,” said Rafa Camargo, the vice president of Facebook Portal. At rest, the Portal is basically a fancy digital photo frame, showing a preselected assortment of a user’s photos from their Facebook feed. Unless explicitly switched off, the camera and microphone default to always on, listening for commands and monitoring to see whether someone is in the room. 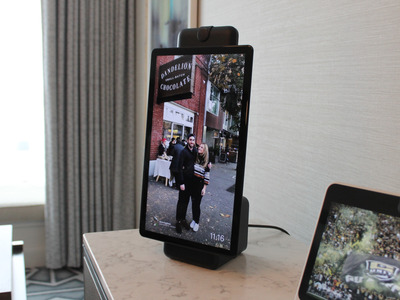 It features a 140-degree wide-angle camera that can automatically track the user as they move around and crops the image around their face, meaning they aren’t stuck having to sit squarely in front of the screen. In testing, it was accurate, albeit not always as fast as the subject’s movements. 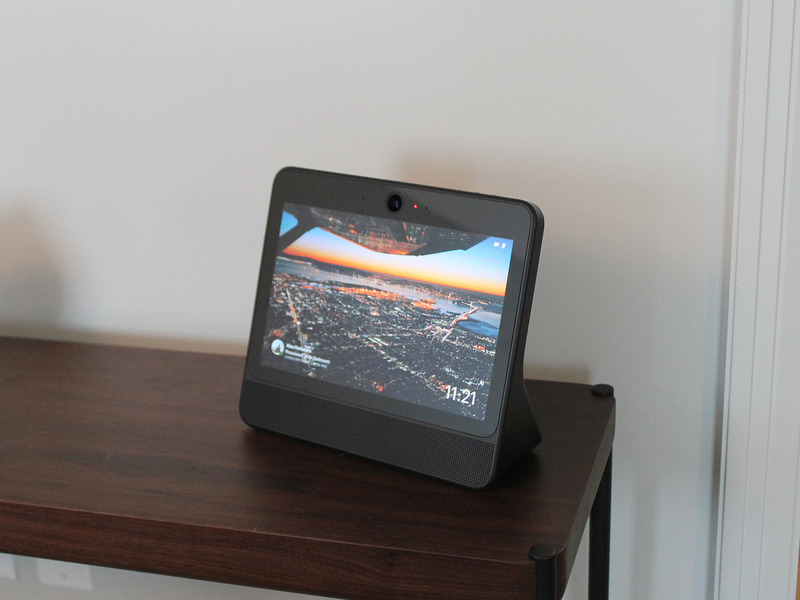 As a smart speaker, the Portal can do all the things you’d expect: play music, read the weather, and perform a variety of other tasks. Facebook has opted to use Amazon’s Alexa artificial-intelligence assistant for most non-call tasks, rather than build an in-house virtual assistant. Smart speakers have exploded over the past few years, with the Amazon Echo leading the way. But it remains to be seen whether consumers will be willing to invite Facebook’s always-on microphones into their homes given the company’s history with user privacy. Facebook representatives stressed the Portal’s privacy features, including a hardware button to deactivate the camera and microphone, a lens cap, and a decision by the company not to save any recordings. Rob Price/Business InsiderThe camera on the Portal Plus. The circular button on top deactivates the camera and microphone. 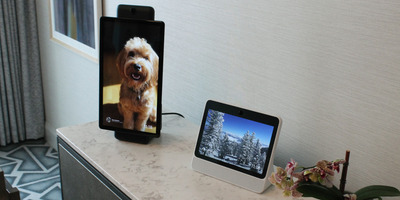 The device also has potential as an enterprise video-calling device in offices, though Facebook said it wouldn’t launch with any integration with Workplace, the business version of Facebook that the company sells to organisations.